It’s a dull afternoon; the clock is ticking in slow motion. You are sitting in your class room and your lecturer says ‘I want you all to give a presentation tomorrow, on various states in India and their specialities’. The first thing that comes to your mind after all the ‘booing’, is logging on to the internet, and searching for things online. Almost every time you search something on Google, the first link you see is of the free online encyclopaedia, Wikipedia. It has become one of the most important parts of our lives, just like watching the news or listening to the Radio. It could be your school or college assignment or just a way to improve your general knowledge and know things. Every time you ask someone a question, their response is ‘Let me check that on Wikipedia, or Wiki as it is fondly called’. Every question you have in your mind, Wikipedia has an answer to it. Now imagine, what if there was no Wikipedia? It would be so difficult to research and learn from various websites on the internet. One man thought this through, and made it his mission in life to set up a free online encyclopaedia, which anyone could access from any part of the world. He wanted the whole world to contribute to this encyclopaedia, and let people have the best gift ever, KNOWLEDGE!!! 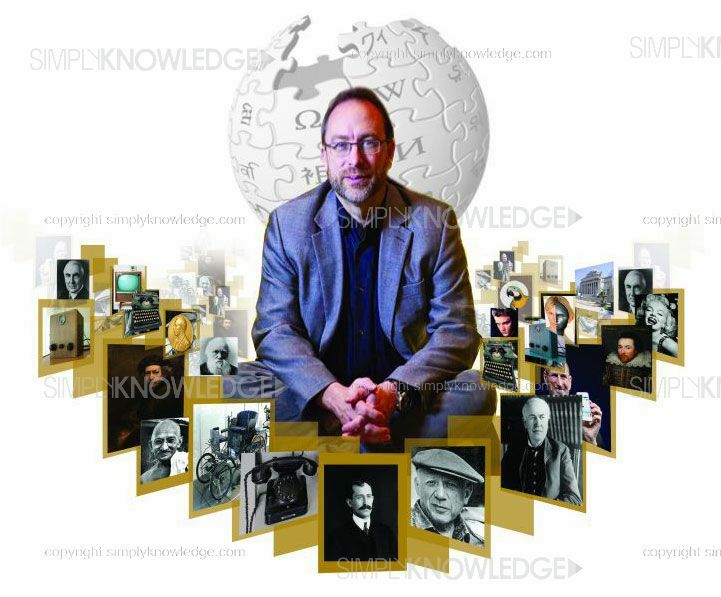 The man is Jimmy Wales, and the name of his mission – Wikipedia!!! We all use Wikipedia in our daily lives, don’t we? 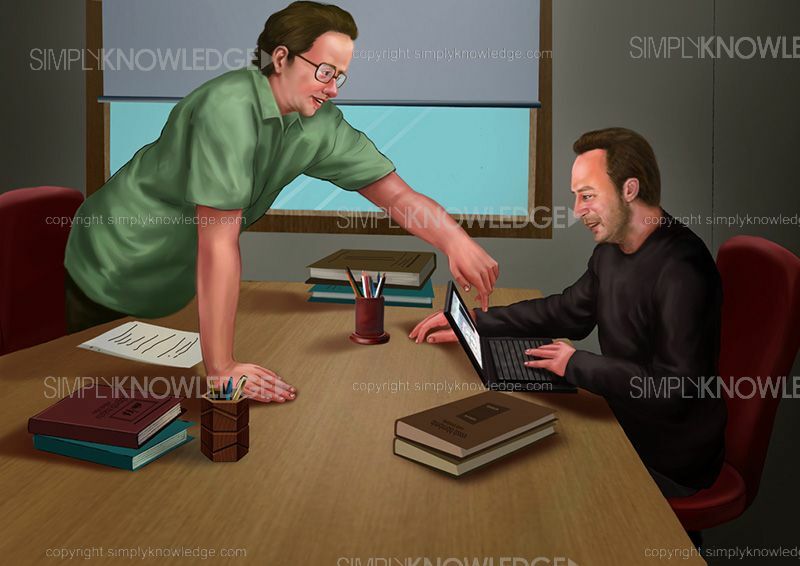 We know Wikipedia knows everything, but how much do we know Wikipedia, or the man who made it possible - Jimmy Wales??? Let’s cruise through the life of the man who made it his aim in life to spread knowledge to everyone across the globe. Jimmy Wales Sr. and Doris Wales lived a happy life in Huntsville, Alabama. It was a usual Monday at work for Jimmy Wales Sr. when he received the news that his wife was going to deliver their baby any time. He worked as a Manager at a local grocery store. Jimmy Wales Sr. and his wife were blessed with a baby boy on 8th August, 1966. They both named the baby as Jimmy Wales Jr; however he was always referred to as Jimmy Wales. His mother Doris Wales was an educator, who co-owned a Montessori based private school called ‘House of Learning Elementary School’ with her mother. Jimmy was fond of reading since a very young age. As a kid, he spent hours reading the Britannica Encyclopaedia and the World Book Encyclopaedia. Jimmy was educated by his mother and grandmother at ‘House of Learning Elementary School’ till the eighth grade. Jimmy was surrounded with innovations and technology as he lived in Huntsville, Alabama, which was the center of the space industry. He was always fascinated by the innovations happening in the field of technology. Jimmy’s parents recognized his interest, and in 1979 at the age of thirteen, enrolled Jimmy in Randolph School. This was a private college preparatory school situated in South Huntsville, which offered computer science courses unlike any other public schools back then. It was during his time at Randolph School that Jimmy gained a lot of exposure to computers. At the age of sixteen, Jimmy graduated from Randolph School and entered Auburn University in Alabama. It is said that Jimmy worked part time at the grocery store just to earn a few extra bucks while he was still studying. In 1986, at the age of twenty, Jimmy earned his bachelor’s degree, a B.A in finance. That same year he married his sweetheart Pam, who was Jimmy’s co-worker at the grocery store in Alabama. Jimmy then enrolled himself at the University of Alabama for his master’s degree. It was here that he got interested in the new world – The world of Internet. While studying at the University of Alabama, Jimmy spent a lot of time browsing the internet, and soon he got addicted to the virtual role playing game “Multi-User Dungeons”. Jimmy spent a lot of time playing this online game and at the same time he also realized the potential of the internet. Jimmy completed his master’s degree in finance in 1988. Jimmy then entered a PhD Finance program at the University of Alabama. He left it mid-way and moved to the Indiana University in Bloomington, where he enrolled for the PhD course in finance. While studying for his post graduate degree, Jimmy taught at both, the University of Alabama and the Indiana University. He was a devoted follower of philosopher Ayn Rand; hence he founded and worked as a moderator for the Ayn Rand Philosophy Discussion List. Now this was an e-mail based forum that was an early form of social media and what we can term as social networking. Here, the members of the forum could talk to like minded people and discuss about Objectivism. While serving as a moderator on this forum, Jimmy met Larry Sanger for the first time. Unlike Jimmy, Larry was skeptical about the philosophy of Objectivism. Hence, Jimmy and Larry decided to meet in person and discuss about it. The two then met offline and engaged in a detailed debate about philosophy and eventually they became friends. Jimmy Wales did not receive his doctorate degree, as he didn’t complete the doctoral dissertation which is required to gain a PhD degree. It is said, he did not complete his dissertation due to boredom. In 1994, Jimmy moved to Chicago, Illinois, and took up a job at Chicago Options Associates. There he worked as a futures and options trader. Meanwhile, he also got divorced with his wife the following year following reasons unknown. While he was working at Chicago Options Associates, Jimmy met Christine through a friend. At that point in time, Christine was working with Mitsubishi as a steel trader. As time passed by, they fell in love, and in March 1997, at the age of 31, Jimmy Wales married Christine Rohan in Monroe County, Florida. Jimmy had made enough money by this time from his job as a trader, and decided to quit his job. Jimmy was so fascinated by the development in the field of internet that he decided to try his hand at opening and running his own internet-based company. Jimmy Wales had an early exposure to computers and internet and always wanted to use these tools for the betterment of mankind. The following year, Jimmy along with his wife moved to San Diego, California. Not much information is known about this, but soon after they moved to San Diego, Jimmy and Christine divorced. However, they had a daughter before separating. In 1998, Jimmy along with a partner Tim Shell, started a dot com website named Bomis. This site was mainly used to display advertisements and host web rings around search terms popular among the male users. A web ring is nothing but a collection of websites which are linked together in a circular format. Web rings are always organized around a specific theme, mostly for educational and social purpose. However at Bomis.com, to attract male customers, the web rings were categorized and named as ‘Babe’, ‘Entertainment’, ‘Adult’, ‘Science Fiction’ and ‘Others’. The ‘Adult’, ‘Babe’, ‘Entertainment’ became the most popular web rings and were updated frequently. The duo received a lot of criticism and questioning for this one of a kind website. Finally, in an interview, Jimmy Wales described his website as ‘a guy-oriented search engine’. Bomis became a very popular website; however it didn’t really give Jimmy and Tim the kind of response they expected financially. Although, Bomis.com was not considered as a successful business venture, it did give Jimmy the capital and the funding required to launch his free online encyclopaedia. In the year 2000, at the age of 34, Jimmy launched Nupedia, his first free online encyclopaedia. Jimmy hired his old friend Larry Sanger, whom he had met on his online philosophy forum, as the editor-in-chief for the website. At that point in time, Larry was a PhD student in Philosophy at the Ohio State University. Larry insisted that Nupedia should be modelled on the academic journal structure, making it a reliable source of information. Hence, the articles on Nupedia were of various topics, written by scholars and experts. The articles then went through a peer-review process and were later edited personally by Larry. A peer-review process is one, in which the work done by one person is reviewed and if need be edited by his peers. It is said, due to this slow process, Nupedia only approved 21 articles in its first year. It was a very slow process and Jimmy was displeased with the lack of openness in Nupedia, as he wanted volunteers from around the globe to contribute to his free online encyclopaedia. Sometime in early 2001, Larry Sanger, while having lunch with one of his friends casually spoke about his apprehension regarding the slow growth of his free online encyclopaedia. His friend who worked on the ‘wiki’ software, recommended Larry to use the wiki model to set up the free online encyclopaedia. A wiki model website is one that allows its users to add, modify, edit or delete the contents on the website using a normal web browser, while keeping track of the changes. The idea appealed to Larry and he shared the same with Jimmy Wales. Jimmy was excited about the proposal and they both agreed to explore the wiki model website as a way to create their free online encyclopaedia. They both hoped this could be the answer to the problems they had been facing in terms of the openness of their encyclopaedia. On 15th January, 2001, Jimmy Wales and Larry Sanger launched the wiki version of their online encyclopaedia Nupedia and named it ‘Wikipedia’. At the beginning, they didn’t know what to expect from Wikipedia, as it could either be better in comparison with Nupedia or worse. But what followed was shocking, in a good way though. 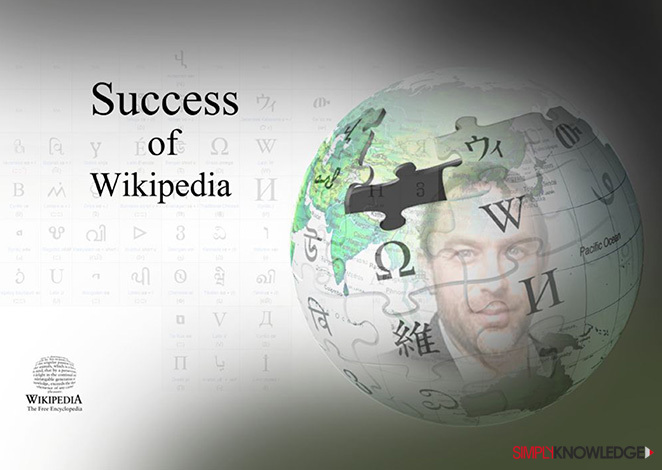 To their surprise, within a few days of its launch, the number of articles on Wikipedia surpassed the number of articles on Nupedia. It was at that moment, Jimmy realized Wikipedia had the potential to grow and become one of the most used free online encyclopaedia. He could practically see his dream coming to life. The thing that worked in the favour of Wikipedia and Jimmy Wales was that most of its early contributors were internet savvy and aware of the Free Culture Movement. The Free Culture Movement is a social movement which promotes the freedom to add, modify and distribute any kind of creative work in the form of free content on the internet. Such people had formed a small group of editors, to edit and contribute to Wikipedia. Jimmy Wales once said “What is much more deeply political is the concept of Wikipedia that ordinary people should be able to participate in the grand human dialogue. It's a very subversive idea in a society that is top-down”. Wikipedia follows the concept of open editing, wherein any one can log on to the website and edit its contents. It is said, initially Jimmy was so worried about the concept of open editing, that he would wake up in the middle of the night to check what content was being added or edited on his encyclopaedia. Wikipedia was growing at an enormous rate. By the end of the year, Wikipedia had around 350 contributors who submitted more than 15000 entries. This growth forced Jimmy and Larry to establish some ground rules, to filter the appropriate content from the large number of entries that Wikipedia received. They wanted to be sure about the content which goes on the encyclopaedia and hence, stressed on neutrality and fact-based writing as the key guiding principle. A lot was being said about the credibility of Wikipedia and the articles published on it. Many institutions didn’t consider it as a reliable source to gather information to such an extent; that if any student uses Wikipedia as a source for their research, their article or assignment would be rejected. Hence, in an interview Jimmy Wales was asked whether the volunteers who write for Wikipedia are given any background checks to make sure the information they upload is reliable and authentic. Larry Sanger was getting paid as the editor-in chief of Nupedia and the chief organizer of Wikipedia by Bomis.com. Around February 2002, Bomis.com stopped funding Larry; as a result he resigned from both his positions on the 1st of March the same year. In 2002, Jimmy Wales moved to St. Petersburg, Florida, and formed a non-profit organization called Wikimedia Foundation, which is often abbreviated as WMF. Jimmy Wales transferred all his powers to control Wikipedia to WMF. The main purpose of WMF was to handle the operations and finances of Wikipedia and set policies for the same. Initially, Wales had planned to fund Wikipedia by means of advertisements. However, in 2003, he decided to stick to his dream of providing a free online encyclopaedia to the users, without generating any profit from the website. In 2004, along with his WMF board member Angela Beesley, Jimmy Wales established ‘Wikia’, a for-profit company. Wikia plays host to various websites that use the wiki website model created by others. Wikiquote, Wiktionary, Wikimedia Commons and Wikiversity are some of the collaborative websites, whose operations are supervised by WMF. Amidst all this, after his departure from Wikipedia, Larry Sanger launched a new website called Citizendium. It is a free online encyclopaedia that aims at addressing the concerns about the reliability of articles on Wikipedia. On Citizendium, authors are required to use their real names; this forbids instant editing by an unknown user, making its content more reliable. Citizendium was in direct competition with Wikipedia. Unfortunately, it didn’t really get the recognition and status that Wikipedia had achieved. Post Larry Sanger quitting Wikipedia, Jimmy Wales asserted that Wikipedia was his brainchild and he is the sole founder of Wikipedia. He publicly disputed Larry Sanger’s designation as the co-founder of Wikipedia. In his response Sanger uploaded web links on his personal webpage that would confirm his status as the co-founder of Wikipedia. Larry Sanger had lot of evidence in terms of media interactions and news interviews, wherein Jimmy Wales had identified him as a co-founder of Wikipedia. 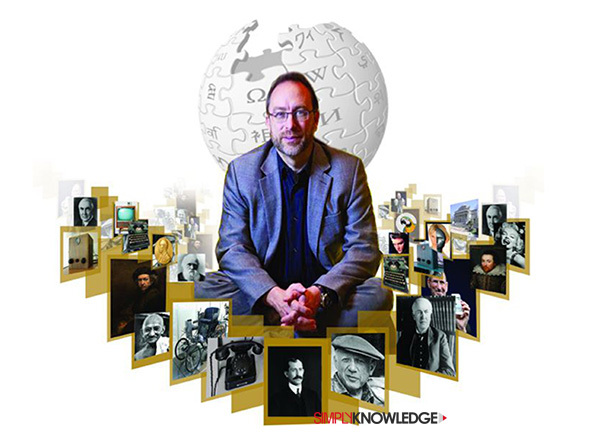 In 2005, Jimmy Wales edited his own biography on the English version of Wikipedia and deleted all the references of Larry Sanger as the co-founder of Wikipedia. Although Wales argued that he made the changes solely to improve the accuracy of its content, he later apologized for his actions, as Wikipedia discourages the practice of someone editing their own biography. Not much is known about the end of this controversy; however, lately Jimmy Wales is mostly referred to as the Founder of Wikipedia. Jimmy Wales retired from his position of the CEO of Wikia in 2006, but he continues to serve as emeritus chair of Wikimedia Foundation. He holds the appointed ‘community founder’ position on the WMF’s board of trustees. In 2006, a 40 year old Jimmy Wales was honoured with a doctorate degree from Knox College, Illinois. "I think that the impact is going to be massive and transformative. I was taking an advanced calculus class and my instructor was reputed to be a fabulous researcher, but he barely spoke English. He was a very boring and bad teacher and I was absolutely lost and in despair. So I went to the campus tutoring centre and they had Betamax tapes of a professor who had won teaching awards. Basically I sat with those tapes and took class there. But I still had to go to the other one and sat there and wanted to kill myself. I thought at that time, in the future, why wouldn't you have the most entertaining professor, the one with the proven track record of getting knowledge into people's heads? We're still not quite there. In university you're still likely to be in a large lecture hall with a very boring professor, and everyone knows it's not working very well. It's not even the best use of that professor's time or the audience." On 18th January, 2012, Wikipedia protested against the SOPA (Stop Online Piracy Act) by posing a blackout of its English Language Encyclopaedia for 24 hours. This step was taken as according to SOPA, you could not publish or upload any pirated or patented content on the internet, eventually considering it an offence, which contradicted Wikipedia’s policies. According to the British Newspaper ‘Daily Mail’, this step taken by Wikipedia and thousands of other websites might have prompted many of the U.S Senators to publicly withdraw their support from SOPA. Jimmy Wales called the strike an ‘Extraordinary Action’. And it’s only a fare term for what they did, as it did have a huge impact. Today Wikipedia is one of the most visited websites worldwide and is still expanding at an enormous rate. According to Alexa Internet, Wikipedia ranks on the seventh position in the list of world’s most popular websites. Across all of its 284 active language editions, Wikipedia has a total of more than 26 million articles. It is estimated that the main page of the Wikipedia’s English version receives about 8 million global hits daily. Alexa Internet is located in California and is a subsidiary company of Amazon.com which provides commercial web traffic data. All this success, this free knowledge being available online to anyone who wants it, was the dream of one man. The man who will be always remembered as the founder of world’s first free online encyclopaedia, the man who changed the face of knowledge, and made sure the new destination for knowledge is always just a click away. The man…Jimmy Wales!! !